The headquarters of Partners HealthCare at Assembly Row in Somerville. The deal would include Women & Infants Hospital in Providence, which delivers the vast majority of babies in Rhode Island, as well as Kent Hospital in Warwick, Butler Hospital in Providence, a home care and hospice agency, and a mental health and addiction treatment center. Partners has the biggest network of doctors and hospitals in Massachusetts, and state regulators have made clear that they won’t agree to significant expansion locally. As a result, the company has searched for opportunities out of state. Although most of the Partners hospitals are in good financial health, executives at the organization — as at many businesses — say that it must grow to remain competitive and successful — even as a nonprofit. Earlier this year, Partners acquired Wentworth-Douglass Hospital in Dover, N.H., its first acquisition outside of the Bay State. Care New England, which is also a nonprofit system, has about 8,000 employees and reported revenue of nearly $1.2 billion in the fiscal year that ended Sept. 30. Partners, with about 68,000 employees, posted revenue of $12.5 billion for the same period. The Service Employees International Union, which represents about 2,200 Care New England workers, said that it would fully evaluate the planned acquisition as more details become available. “It is important that any proposed hospital merger ensures the continued provision of quality care for Rhode Islanders, safe staffing levels in our hospitals, and good jobs for health care workers,” Patrick J. Quinn, executive vice president of SEIU District 1199 New England, said in a statement. Executives did not detail how the deal might affect employment, but said they don’t expect big cuts among staff who work directly with patients. Not included in the deal is struggling Memorial Hospital in Pawtucket, which Care New England said that it would spin off to an arm of Prime Healthcare, a for-profit company based in Ontario, Calif.
Partners and Care New England plan to work out the details of their transaction in the coming months before signing a final agreement and seeking approval from federal regulators as well as those in Rhode Island and Massachusetts. Care New England said that it had reviewed bids from more than a dozen state, regional, and national organizations before selecting Partners. The Rhode Island system already has affiliations with Brigham and Women’s Hospital in Boston and McLean Hospital in Belmont. “Partners stands for quality: great outcomes, great clinical care, great academics, great research. It’s really an organization that has an outstanding reputation,” said Dennis Keefe, the chief executive of Care New England. This isn’t the first time that Partners has shown an interest in the Providence-based hospital system. Instead, Care New England decided to negotiate a merger with Southcoast Health System, of New Bedford. But those talks fell apart in October — giving Partners another shot. “As health reform here and across the nation evolves, providers are developing more regional strategies, and this affiliation between Partners and Care New England is a natural step in that evolution,” Partners’ chief executive, Dr. David Torchiana, said in a statement. 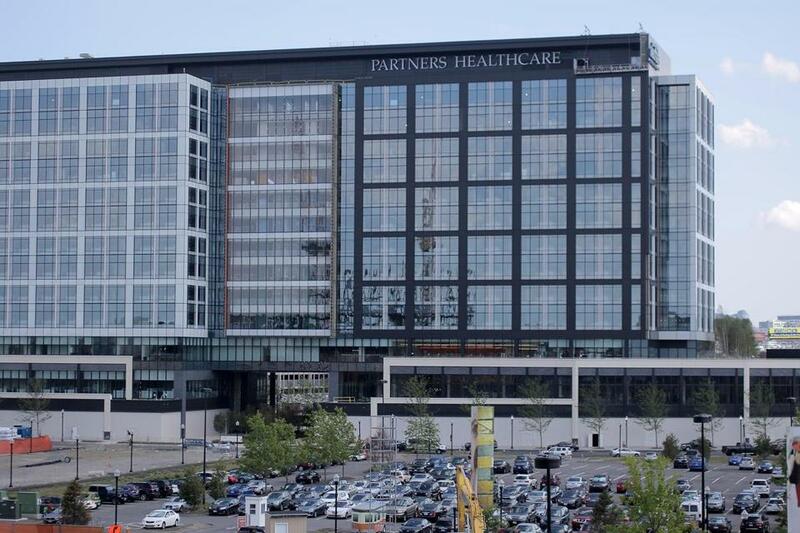 Partners has 10 Massachusetts hospitals and thousands of doctors. Its hospitals are among the state’s most prestigious, but also the most expensive. For years, the nonprofit health system had planned to acquire South Shore Hospital in Weymouth and Hallmark Health System’s two hospitals in Medford and Melrose. But after facing strong opposition from state officials, who were worried that the deals would raise costs and lower competition, Partners abandoned those efforts in 2015. The company is also seeking approval to take over Massachusetts Eye and Ear, a specialty hospital with which it has deep ties. Other Massachusetts hospital systems, including Steward Health Care System and Boston Children’s Hospital, have also negotiated acquisitions in other states. Meanwhile, Partners faces competition at home. Two of its rivals, Beth Israel Deaconess Medical Center and Lahey Health, are leading a merger to create a large new health system. New England Baptist Hospital, which specializes in orthopedic care, is also planning to take part in that merger, and Mount Auburn Hospital is considering joining. Though Partners lost money last year, mostly because of its insurance business, the nonprofit company has stronger revenues and reserves than its competitors. That could be a boon to Care New England, which lost $68.3 million on operations in the past fiscal year. Executives attributed much of the losses to one-time factors and said about $32 million of the losses were at ailing Memorial Hospital, which is not part of the Partners deal. Care New England and its biggest rival in Rhode Island, Lifespan, have discussed merging at least three times, but a deal has not materialized. Last week, Lifespan’s chief executive, Dr. Timothy J. Babineau, told the Providence Journal that his organization recently made a “compelling” and “visionary” offer for Care New England. In Massachusetts, Partners and Care New England must submit their merger plans to the Health Policy Commission, which studies the impact of mergers on health care costs. But the commission’s purview is only over the Massachusetts health care market. The attorney general’s office said it also has authority to review the deal. Under Rhode Island law, the health systems must get approval from the attorney general and Department of Health. “As one of the two state offices charged with the regulation of hospital conversions, we look forward to learning more about and evaluating the proposed transactions and their impact on the state’s hospitals, patients and the communities they serve,” Rhode Island Attorney General Peter F. Kilmartin said in a statement. Jon Chesto contributed to this report. Priyanka Dayal McCluskey can be reached at priyanka.mccluskey@globe.com. Follow her on Twitter @priyanka_dayal.